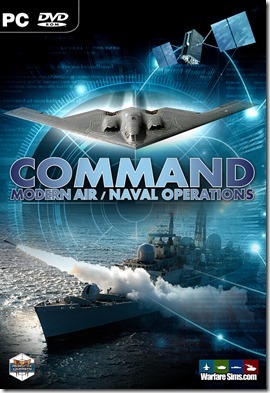 Command Build 757.12, which had been made available unofficially at the start of December, has now officially been released through MatrixGames and Steam. Barring any emergencies, this is probably the last update released as part of the post-v1.09/NI release support process. The development team’s focus is now the next major public update, designated v1.10. Let us take a look at the some of the major improvements that the new version will feature. A rather consistent piece of feedback we have received since the original release of Command is that the offensive jamming (OECM) systems of many aircraft appeared to be overpowered against their target emitters. 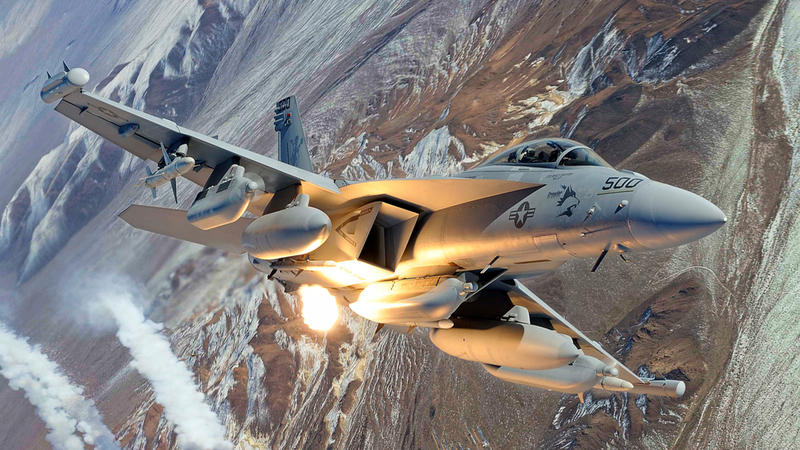 The “poster child” for this issue was the EA-18G Growler, which was able to flood with jamming even very modern SAM systems such as the S-400/SA-21, to the point where the aircraft was able to even overfly such a SAM battery with impunity. We investigated these reports, and concluded that the fundamental problem was that our radar/ECM formulas, while technically quite accurate, failed to take into account the various counter-countermeasures (and counters to them, and counters to the counters, ad naseum…) that are applied by both radars and the jammers that target them. Discretely incorporating these techniques in a public-domain simulation is tricky, not least because non-classified information is scarce, both on the details of these techniques and also as to which system supports which tricks. However, we already had at our disposal a successful template for abstracting and emulating these factors: The technology generation system, employed already on defensive jammers (DECM). We were also informed of the decisive advantages of phased-array systems (and especially AESAs) in countering most jamming techniques. * Phased-array systems get decisive bonuses both on the radar and on the jammer side (NGJ is an example of the latter). AESAs in particular are able to ignore many OECM techniques altogether thanks to their very low sidelobes, high SNR and advanced beamforming capabilities. As an example of how these refinements affect tactical employment, we ran the popular but artificial “lone EA-18G jam-attacks S-400 battery head-on” strawman setup. In this case the SAM battery was using only 48N6DM missiles (TVM/SAGG guidance) and was supported by a 91N6 (Big Bird D) brigade-level surveillance radar. The 91N6 briefly detected the Growler at 168nm but immediately lost it again. It was able to re-detect it and hold it reliably only at 71nm. The battery’s 96L6 (Cheese Board) acquisition radar detected the aircraft at barely 14nm, and the 92N2E (Grave Stone) fire-control radar was able to achieve missile lock at just under 7nm (…cue the fanboy hordes screaming that our numbers are way off). So as we see, modern OECM systems are still quite effective even against modern radar systems but not nearly as omnipotent as was hitherto the case. Against older threats, modern jammers remain overwhelmingly effective as has been repeatedly demonstrated in real-life air operations in the last few decades. Fully populating the aircraft loadout entries in the DBs with weight and drag data has enabled us to refine a significant aspect of aircraft kinematics: The effect of weight on agility and manouvering. Until now, although weight and drag were taken into account for fuel consumption puproses (and indeed were re-calculated continously so that e.g. an aircraft that dropped its bombs would immediately experience a benefit in endurance and range), the aerodynamic performance itself (including evasion against attacks) always assumed an “airshow” configuration (minimal external stores, half-full fuel load). This mostly worked for air-combat loadouts but could cause significant distortions in evaluating attacks against heavily-loaded aircraft. So now the actual aircraft weight, including fuel and stores, is continously calculated as the “weight fraction” (compared against the nominal “airshow” values and the maximum take-off weight) and it has a decisive effect on actual performance. Sustained turn rate, climb/dive rate, acceleration and attack evasion agility are all affected by this. 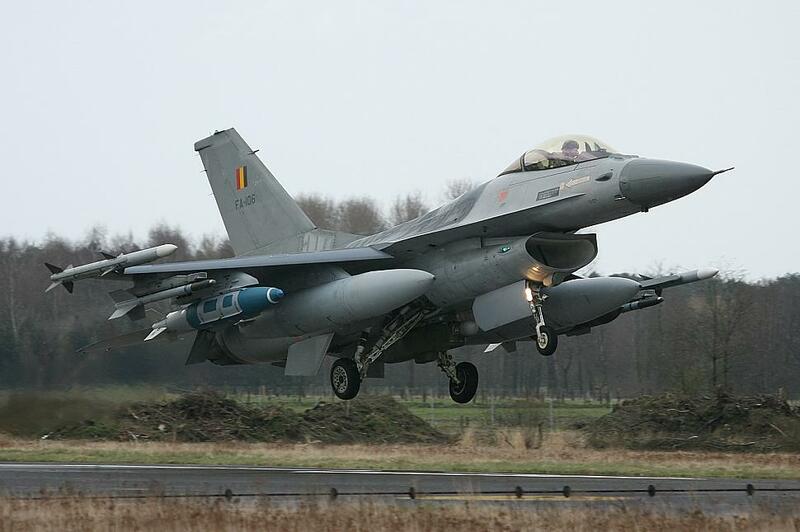 As an example, a USAF F-16CM Blk52 (2014) with a light A2A-patrol loadout (2x 370USG tanks, 4x AIM-9X, 1x ALQ-184 DECM pod) at 36Kft has a weight fraction of 0.44 with full internal fuel. With this fraction the aircraft has a 16.7 deg/sec sustained turn rate (against the nominal 22.8) and its evasion agility is reduced from the nominal 4.9 to 3.6 (not taking into account any other factor such as crew proficiency, impact angle etc.). In contrast, the very same aircraft in a heavy attack loadout (2x 370USG tanks, 2x GBU-31(V)1 JDAM, 2x AIM-120C-7, 2x AIM-9X, 1x AAQ-33 Sniper-XR pod, 1x ALQ-184(V) DECM pod) has a weight fraction of 0.68, which reduces its turn rate to 13.4 deg/sec and its evasion agility to just 2.9. As fuel is consumed this fraction steadily decreases and the aircraft performance increases, and of course even more so if the loadout stores are expended. So if you have been watching the news and see aircraft on actual ops carrying much fewer stores-per-sortie than the “Christmas tree” brochure drawings, part of the reason is range/endurance but a significant consideration is also this: Too much weight can really get you killed. On the next post, we will take a look at the most significant ScenEdit & Lua improvements that v1.10 brings.